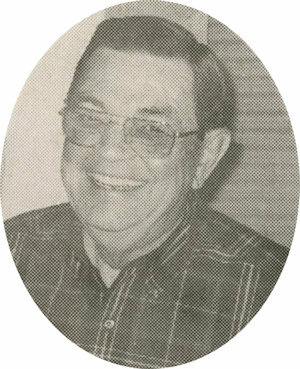 Obituary – Davis, Marshall Lee « Perry High School Alumni Association, Inc.
﻿Marshall Lee Davis, 83, of Albuquerque, New Mexico was the son of Danchel and Nellie (Brown) Davis. He was born December 30, 1925 in Alva, Oklahoma and passed away on Monday, August 10, 2009 in Albuquerque, New Mexico. Marshall was a 1943 graduate of Perry High School. He proudly served his country in Japan during World War II with the United States Navy and with the Oklahoma Army National Guard Company I, 179th Infantry during the Korean War. Marshall served as the Company I clerk. In 1950, while serving in Korea, Marshall attained the rank of Master Sergeant. He was the recipient of the Army Occupation Medal (Japan), Korean Service Medal with one Bronze Service Star, the United Nations Service Medal and the Combat Infantry Badge. Marshall also received the Presidential Unit Citation for service on the USS Guadalcanal for the capture on June 4, 1944 of the German submarine U-505. Marshall owned and operated a dry cleaning business with over 40 years of success, a business that continues today. Marshall was a loving and generous husband, father and friend, who will always be missed and his memory will never be forgotten. Graveside services will be at 9:00 a.m. Saturday, August 15, 2009 in the Grace Hill memorial pavilion at Grace Hill Cemetery at Perry, Oklahoma. Rev. Ed Cook will officiate. Services are under the direction of Brown-Dugger Funeral Home. Memorials may be made to Kaseman Hospice in care of Brown-Dugger Funeral Home, 1010 N. 7th Street, Perry, Oklahoma 73077. Marshall is survived by his loving wife of 63 years, Glenna Davis; one daughter, Marian Pat Davis-Felton and her husband, Scott W. Felton, of Dallas, Texas; two sons, Kent A. Davis and his wife, Mary L., of Albuquerque, New Mexico and Craig Davis and his wife, Glenda, of Tijeras, New Mexico; one brother, Carroll R. Davis and his wife, Patsy, of Albuquerque, New Mexico; one sister, Patricia Oliver and her husband, Carl, of Tulsa, Oklahoma; and numerous nieces, nephews and friends.